Fishing guides are the hardest working folks in the fishing industry. Each year, we budget one guided day on the river, most often float trips, though last year we did a wade trip on the Madison. We’ve accumulated a modicum of experience with fly fishing guides. And we’ve learned a ton about how to fish. However, the guides have also taught us a few things about ourselves. In this episode, we reflect on what the great fishing guides have taught us about our own aspirations and fly fishing chops. 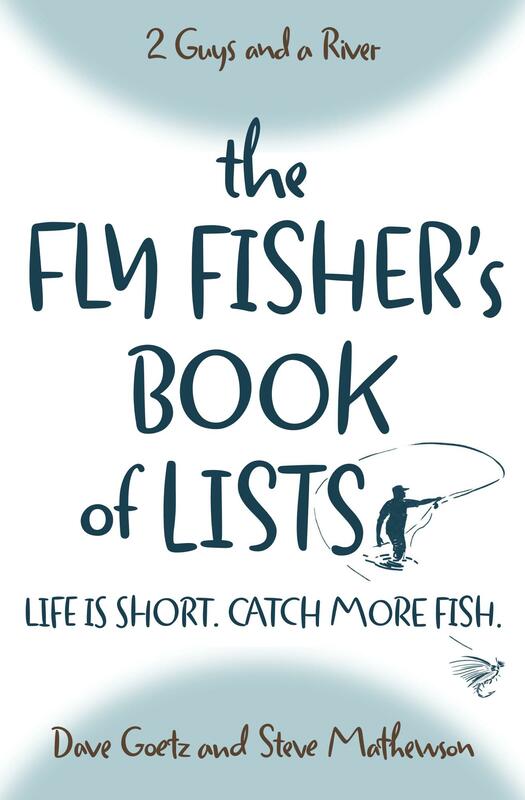 Do you ever use fly fishing guides? What have you learned from them? Or, what what they taught you about yourself? I take a guide trip every couple years- what always interest me the most with a guide is watching them tie knots. The best guide will take a simple blood knot and make it a simple knot with no third hand. They will show you, watch you and know when to “let you fish” by tying it your self! Ah yes, I envy the speed and skill with which most guides can tie their knots! Honestly, the guides we’ve had haven’t stopped to teach us how to tie a particular knot. They want to keep us fishing. But I have been in fly fishing classes where the instructor has worked with us on our knot-tying skills. Sometimes, we’ve used a rope to learn a knot. It’s easier than using a tiny tippet! One of the things that strikes me about current fly fishing guides is how many skills they have to have beyond fishing. If you spend some time talking with guides, you’re just as likely to hear about instagram accounts and web marketing as you are about fly selection and dead drifts. I know one young guide who has built up quite thriving small business, he has several guides working for him and he’s making sure everyone is having a good time. His work doesn’t stop when he puts the drift boat up on the trailer. Great point, Bob! It takes a diverse skill set to be a guide today. And it helps to be an entrepreneur. Good guides pay attention to the little details–all of them.